We are UK’s leading milk wholesale suppliers, supplying over 3500 clients inside London and loads of other clients around UK with quality milk. We supply all kind of milk to a wide range of facilities including shops, hotels, restaurants, cafes and many other facilities. 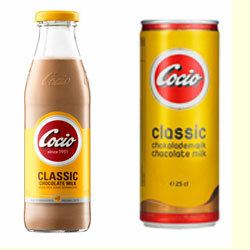 We have wide range of wholesale milk products ready to be delivered to you. Plenish Organic Milk | Almond Milk 8 x 1ltr Product Description* Deliciously plenis..
Plenish Organic Milk | Cashew Milk 8 x 1ltr Product Description* The deliciously Pl..
Plenish Organic Milk | Coconut Milk 8 x 1ltr Product Description* Choose Plenish..
Plenish Organic Milk | Hazlenut Milk 8 x 1ltr Product Description* The delici..